Have your questions answered by our many members located in Belgium! 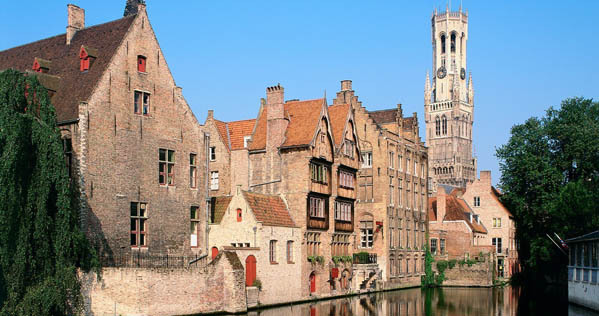 Situated in the heart of Europe, Belgium has one of the highest standards of living in the world. Along with its top quality standard of living, many people each year decide to pack their bags and head to the land famous for its luxurious chocolates and home brewed beers. Efficient education and healthcare systems, reliable public transport systems and a highly diverse culture are all tied into this small but highly populated country, with roughly 11 million people living in Belgium today, although do be warned, with high quality living standards usually leads to high costs of living; and Belgium is no different. In Belgium, French and Dutch are the two main languages spoken, and a small amount of German. Belgium's two largest regions are the Dutch-speaking region of Flanders in the north and the French-speaking southern region of Wallonia. Immigrants looking to move to Belgium should be aware of the two different sides Belgium has to offer, because having different languages effects their culture and way of living also. The Belgian cuisine is often underestimated by tourists and foreigners. Belgium is home to a wide variety of restaurants, many of who have at least one prestigious Michelin star to their names. Belgium is famous today for their chocolates and beers, and has been internationally recognised for their success. The Belgian’s take great pride in both products and so they should. The country’s reputation for chocolate began with the creation of the praline in 1912, and is today still many people’s favourite. In Belgium, beer is more than just a frothy beverage - it is a culture. With over 450 different varieties, many Belgian beers have personalized beer glasses in which only that beer may be served. This may seem foolish to foreigners, but the Belgians like to take their time and enjoy every last flavour their beers have to offer. Belgium’s capital city Brussels is home to the head of the European Union and NATO, which makes the city, and country, an extremely diverse and unique place to live. With cultural architect standing tall alongside Belgium’s quirky cobblestone roads and charming canals, Belgium is truly a great place to live. We have thousands of local members waiting to answer your questions on living and working in Belgium. Join Worky or Login to Join the Discussion.